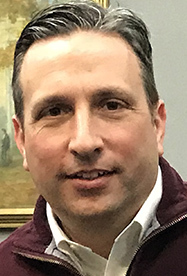 State Senate Majority Leader Bob Duff (D-25. The Trump Administration’s repeal of net neutrality takes effect Monday, June 11th – meaning internet service providers (ISP) will now be able to block and throttle web access to certain sites and create high speed lanes in order to charge users more for access to internet content. Connecticut’s General Assembly should make the restoration of net neutrality a top priority in the 2018 legislative session, perhaps even sooner if reports of blocking and throttling are substantiated before January 2019. The U.S. House of Representatives should approve the Senate’s bipartisan net neutrality bill which passed last month. Several states passed bipartisan legislation this year requiring internet providers to adhere to net neutrality practices but Connecticut is not among them. Senate Bill 2, which passed the senate in May but was never called for a vote in the House, would have protected consumers by ensuring all ISPs register with the state as a utility and pledge to treat all internet content fairly and equally. This is typical of a Bob Duff issue. Meaningless, with no real impact, and when nothing happens, he will have an excuse. By the way…did you have a problem before 2015 with the internet? That’s when this nonsensical rule went into effect. Would you rather your Netflix stuttered, or an email had to wait a quarter second? That’s the most likely sort of change you’ll see…better performance. Will our esteemed Sen Duff ever “fight to lower State taxes” and curb public Union costs ? Or just continue to “stand up for us” ? Thank you, Senator Duff and Rep Slap, for continuing to fight for net neutrality on behalf of CT consumers. It was with great disappointment to those of us who are already paying for access to the internet via our ISPs that those providers may now manipulate access via throttling and/or charge us higher rates for the same services CR we were getting when net neutrality guidelines were in place. Hopefully the CT General Assembly will think better at the beginning of the next legislative session and vote to protect consumers over the profits of large corporations. If enough States enact laws at the State level, the U.S. legislature may be motivated to reinstate net neutrality at a national level. Thank you Bob! I am so glad you are fighting to insure net neutrality. This is a very important issue. Thank you, Bob. I appreciate your strong voice on this issue. On June 1st this year Senator Bob Duff and Eversource Government Affairs Manager Tom Dorsey joined Wall Street Theater Executives Suzanne Cahill and Frank Farricker and Artistic Director Bill Blanks Jr. in accepting the Eversource contribution funding of $1.8 million towards the theater’s preservation and growth. May 7th Connecticut Senate overwhelming passed a plan that will fundamentally reimagine how the state values the solar energy people generate on their roofs. But 18 solar companies and environmental advocates that had fought the solar provisions when they were first floated nearly a year ago and lost. Net-metering has long been fought by electric utility companies who have seen it as upending their long-standing profit models. Thanks Bob, you can fool those who support you but for the ones who dont care to explain the series of games you play with Eversource? Then again politics at its best something your good at. Thanks, Bob – keep at it! It must be election time..Photo-Op Bob doing anything he can to remain relevant. The people of Norwalk have had enough of their Doesn’t Stand Up Senator who does nothing but takes pics, enjoy ice cream and play with the lobsters. Norwalk is desperate for real change and someone who will truly fight for us. Net Neutrality is an issue of extraordianry significance. Since the net,more and more, is becoming a lifeblood for the exchange of information, news, freedom of expression and most importantly, a useful tool for folks to make a living. Having the Net controlled by too few hands is a prescription for disaster. And any attempt to reverse the coming negative effects of the demise of Net Neutrality must be given serious consideration. This comment has been disallowed on the belief that it originates from a commenter who was recently banned for serial violations of the comment policy. The comments policy states: Sock puppets – alias accounts created by previously banned commenters or by commenters who are seeking third-party approval the easy way – will be banned.